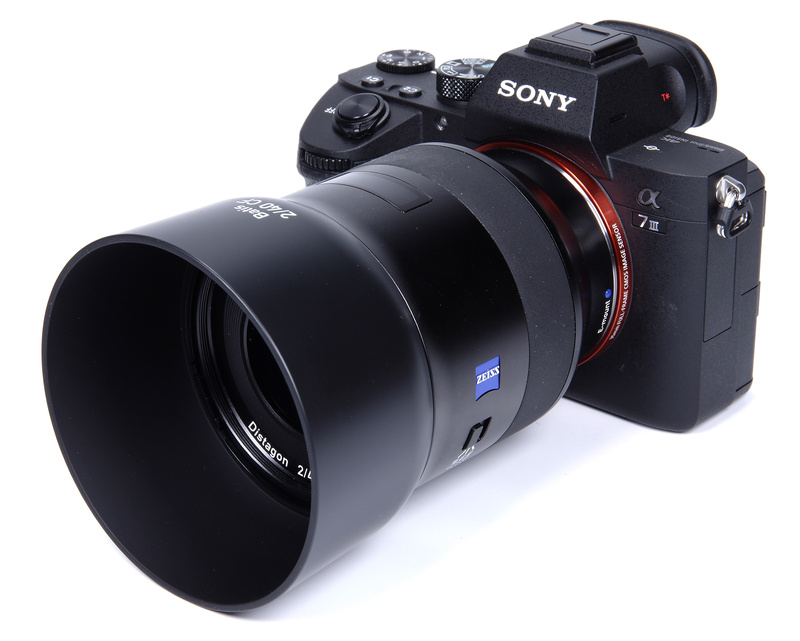 John Riley reviews the new Zeiss Batis 40mm f/2 CF lens, a full-frame lens for Sony E mount cameras. 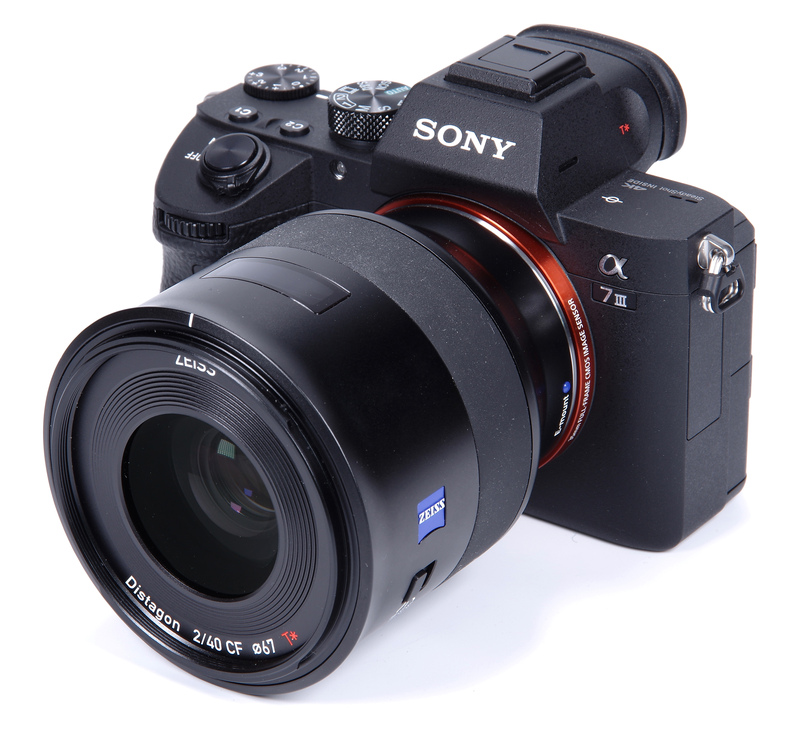 The Zeiss Batis range of lenses for full frame Sony FE mount cameras has rapidly expanded. We have already the 18mm f/2.8, 25mm f/2, 85mm f/1.8 and 135mm f/2.8 lenses, which are now joined by the Zeiss Batis Distagon 40mm f/2 CF T* lens. It is based on a classic lens design, so let's see how the new lens handles and performs, using the Sony Alpha A7 III 24MP body. Zeiss has certainly taken the concept of minimalism to heart and made it their own. Even the packaging of the lens has that simple, classy look of quality about it. The lens itself is smooth and contoured, with nothing to detract from its elegance. Some may feel that 40mm is a strange focal length for a standard lens, but it is generally considered that the standard lens focal length for any format is the diagonal of that format, and in the case of the 35mm-format full frame it actually works out at 43mm. The fact that most standard lenses have been 50mm, 55mm or even 58mm is more of a reflection of the difficulties of SLR design and manufacture than anything else. So first our tour of the lens, starting with the supplied round lens hood. This bayonets cleanly into place and the contours of the hood blend perfectly into the contours of the lens. There is also a standard 67mm filter thread. The lens is T* coated to eliminate flare and ghosting. Construction is clearly of a very high standard throughout. The lens is weather and dust sealed. It is not unduly heavy at 361g but is relatively large for a 40mm focal length. Many such lenses have been pancake lenses, but of course, that was in the days before AF motors were installed. In this case, it may also be because the image field covers a very generous 43.3mm diameter circle, comfortably in excess of the longest side of the format. This no doubt will help to maintain image quality at the edges and reduce vignetting. Moving along the smooth lens barrel, there is a switch that limits the AF range. The settings are Full, infinity to 0.4m and 0.5-0.24m At the closest focusing position of 24cm (9.4 inches) we have a magnification ratio of 1:3.3, hence the CF (Close Focusing) designation of the lens. 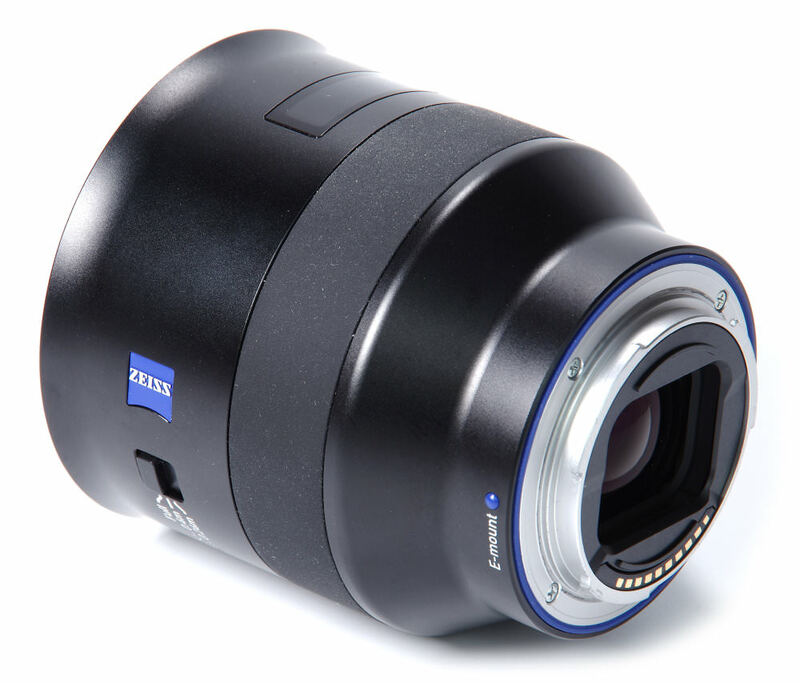 This is usefully close and it is commendable that Zeiss have managed to maintain performance at such distances. There is also a dark plastic window and when the camera is initially switched on this small OLED (Organic LED) display briefly indicates ZEISS and thereafter indicates the focusing distance set, plus the limits of the depth of field for the aperture set. This is a brilliant idea and works very well indeed. There are limitations of course, and the distances displayed are a guide rather than an absolutely precise value. Settings can be displayed in feet or metres as preferred. The manual focusing ring is electronic and an object lesson in how to make smooth.....utterly smooth. The speed of turning changes the speed of manual focus and if the camera AF system is set to DMF (Dynamic Manual Focus) then the ring stays active even in AF, to enable final tweaks to the focus position. The rubberised ring does tend to pick up specks of dust quite easily. The optical construction is 9 elements in 8 groups and is a floating element design. Typically this will enhance close focusing performance. A number of recent lenses have had the position of the entrance pupil marked upon the barrel, to indicate the point around which the lens can be rotated for panoramic images. The Zeiss lens does not do that, but the information that the entrance pupil position is 75.1mm in front of the image plane is provided on their website. In terms of handling, the lens performs flawlessly in every respect. The AF is virtually silent and locks on precisely every time. No need was found for the focus limiter as the AF shows no sign on hesitation or hunting, but it's there should it ever be found necessary. The 40mm focal length is actually a very good one, allowing just a bit of extra space over a 50mm standard lens and focusing even closer, always a bonus. Moderately close portraits are no problem, although a longer lens might be needed for large head and shoulders shots. Landscapes, architecture and street photography are all well within the repertoire of the lens. If used on a crop sensor, then the 60mm "35mm-format equivalent" field of view is also, in its own way, a useful one, in this case as a long standard lens that is not far off the 58mm lenses that were common at the start of 35mm SLR photography. Although focal length choice can definitely be a personal decision, 40mm was found to be actually very versatile. What's remarkable is the new Tamron 17-35 Di OSD tested a few weeks ago has actually bettered the Zeiss performance in the F4, 5.6, f8, and f11 areas, also better chromatic aberration control!! There are certainly some great lenses out there for us to choose from! Excellent sharpnes at all apertures!!!Wow! [quote]What's remarkable is the new Tamron 17-35 Di OSD tested a few weeks ago has actually bettered the Zeiss performance in the F4, 5.6, f8, and f11 areas, also better chromatic aberration control!! [/quote] No really, the Tamron was tested on a Nikon D810 (36mp) versus the Zeiss on a Sony A7 III (24mp). Put the Zeiss on a Sony A7R III would give us a better indication and I'm willing to bet, a better performance than Tamron. Quote:What's remarkable is the new Tamron 17-35 Di OSD tested a few weeks ago has actually bettered the Zeiss performance in the F4, 5.6, f8, and f11 areas, also better chromatic aberration control!! No really, the Tamron was tested on a Nikon D810 (36mp) versus the Zeiss on a Sony A7 III (24mp). Put the Zeiss on a Sony A7R III would give us a better indication and I'm willing to bet, a better performance than Tamron. [quote][quote]What's remarkable is the new Tamron 17-35 Di OSD tested a few weeks ago has actually bettered the Zeiss performance in the F4, 5.6, f8, and f11 areas, also better chromatic aberration control!! [/quote] No really, the Tamron was tested on a Nikon D810 (36mp) versus the Zeiss on a Sony A7 III (24mp). Put the Zeiss on a Sony A7R III would give us a better indication and I'm willing to bet, a better performance than Tamron. [/quote] Exactly, the Tamron has already been tested on a high res 36 mp camera, so more exacting than the A7III, I am not disputing the Zeiss will be a lovely well-built lens, but the Tamron is a bit of a bargain. I have sold my Nikon 16-35 VR f4 because the Tamron blew it away in the corners at all apertures and matched and in some cases bettered my Irix 15mm 2.4 which in many tests has held its own against similar Zeiss lenses. Exactly, the Tamron has already been tested on a high res 36 mp camera, so more exacting than the A7III, I am not disputing the Zeiss will be a lovely well-built lens, but the Tamron is a bit of a bargain. I have sold my Nikon 16-35 VR f4 because the Tamron blew it away in the corners at all apertures and matched and in some cases bettered my Irix 15mm 2.4 which in many tests has held its own against similar Zeiss lenses. What a pitty that horrible bokeh at f2.0. Except that it's magnificent! Sad that this beautiful has has to carry all that crap dust and fluff around on it's zoom ring. What genius chose that material. 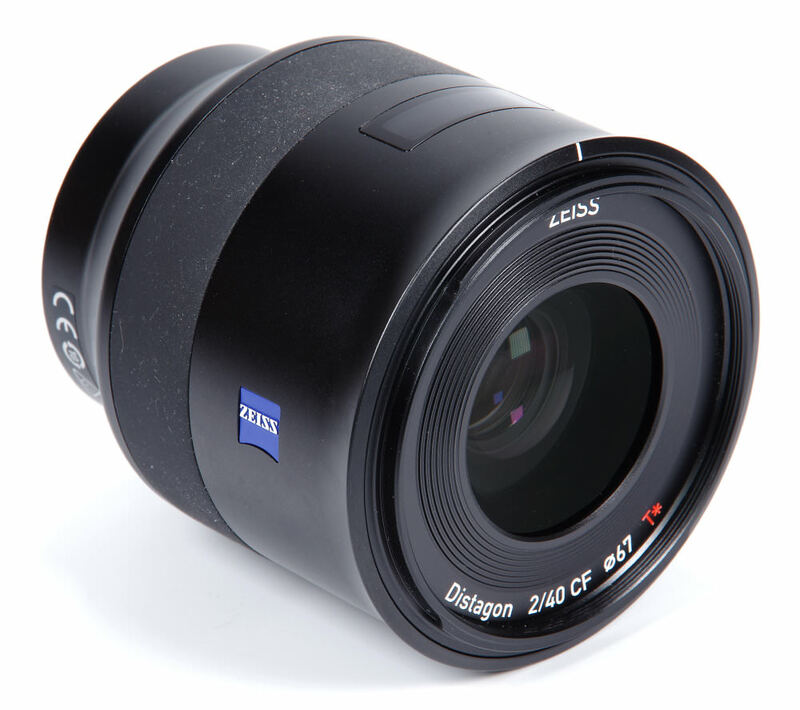 [quote]Zeiss own web site states quite clearly this lens, like most Zeiss lenses is made from metal, NOT polycarbonate. Don't cheapen there products with misinformation, thank you. [/quote] We don't say that it's polycarbonate? So not sure why you think we do? Quote:Zeiss own web site states quite clearly this lens, like most Zeiss lenses is made from metal, NOT polycarbonate. Don't cheapen there products with misinformation, thank you. We don't say that it's polycarbonate? So not sure why you think we do? Testing such a high quality lens on the 24mp sensor is pretty much useless... Why don't you always use the sensor with the highest resolution? This would show that some lenses are great at 42mp and others are clearly designed for the 24mp cameras.